You’ve made the all important decision to visit Disney World. Now, you have to decide which stroller to bring! You may already own these strollers or be looking to purchase a new one. You can also look into renting or borrowing from a friend. Make sure to check out our Top 10 Things to Look for in a Stroller at Disney World! These are 10 features we think are must-have! 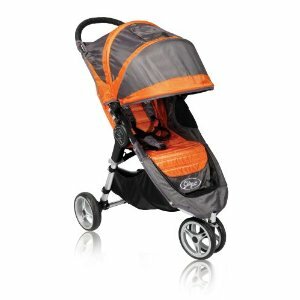 Below are the strollers that we recommend to bring to Disney World! 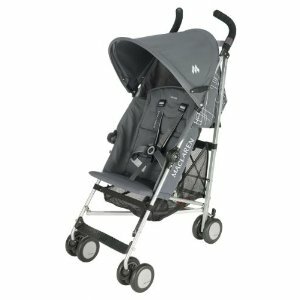 The Maclaren Triumph stroller is a favorite among Moms at Disney World! It’s super easy to fold up and it holds a child weighing up to 55 pounds. – Single hand fold, with a strap to easily carry on and off the Disney buses and trams! – Seat reclines in several different positions, allowing your child to rest easily! – Large canopy, with a raincover included! The only downside for the Maclaren strollers is that it doesn’t come with cupholders for the parents! You can purchase a cupholder from Maclaren that will attach. Prices for the Maclaren Triumph start at $179.99. The Baby Jogger City Mini Stroller is definitely a favorite among Moms at Disney World. In fact, this is the stroller that most of the Orlando Stroller Rental Companies use! The Baby Jogger City Mini features Quick-Fold Technology. Simply lift and fold! It will also hold a child weighing up to 50 pounds. – Lightweight at only 16.8 pounds! – Swivel front wheels that make it so easy to maneuver those tight crowds! The Baby Jogger City Mini also doesn’t have a parent cupholder, but you can buy a Baby Jogger Parent Console to clip on. Prices for the Baby Jogger City Mini Stroller start at $239.99. The Chicco Liteway Stroller has all the features on our Top 10 list, PLUS comes in fun colors! The Chicco Liteway Stroller weighs in at only 20 pounds and easily folds up. It will hold a child weighing up to 40 pounds. – Padded 5-point harness for safety! This stroller is fantastic because it comes with a parent cupholder, so you don’t have to buy any additional accessories. 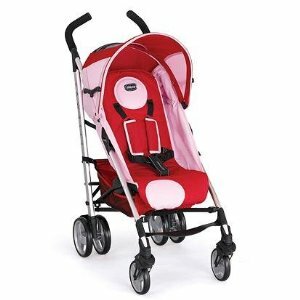 With the large canopy, ability to recline and swivel wheels, this is a great stroller for Disney World! Prices for the Chicco Liteway Stroller begin at $119.99. Which stroller do you like to bring to Disney World? We would love to hear about it and add it to our list! Make sure to read our post about the Best Stroller Accessories! Hi! I found your site, and I just wanted le let you know what we bring to Disney. We ALWAYS bring our Phil and Teds Explorer stroller win us. It is terrific for more than one child. The second seat can either go on top of the main seat or underneath. The only downside is it is on the large side and can be a little heavy. But it is a lifesaver to not have to swap kids out all the time! Here’s a picture of our last trip down – with a 6 year old, 4 year old and 10 month old. That is a great stroller! We will have to look into including that on an upcoming post! Just posting a quick comment,lol. We went to Disney last year and brought our big stroller that we got from Babies R Us and it was so hard to use that thing. It was heavy, awkwardly large and just too big. This year we are bringing a new stroller. It is the Jeep Grand Cherokee Stroller. It is smaller, lightweight and still has the large basket, canopy, and cup holders. The best part is how small it is and that the children’s cup holder and snack tray can come off if you choose.